Play Hooks Heroes for real! Opening Hook’s Heroes™, you don’t have to wait long for the action to start because once loaded, the intro will take you to the theatre. For a few seconds, the curtains will be hiding the action but when the show starts it won’t take long for you to realise that Hook’s Heroes™ involve a bunch of pirates obeying the orders of Hook while a fairy and a mermaid at one point do get involved as well. I must say NetEnt has done a brilliant job when it comes to the characters, but if you expect cutting-edge animations in the Hook’s Heroes™, I have to disappoint you. No worries, because I don’t believe this video slot was meant to be offering the best design as it is all about the slot features. 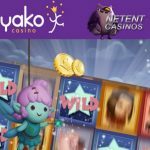 Packed with slot features, including Free Spins, Feature Spins, Wild Substitutions, a Pirate Feature, a Mermaid Feature, and a Fairy Feature, you won’t be bored when playing the Hook’s Heroes™ slot. I have to admit I’ve seen more original slot themes and it isn’t the first pirate-themed video slot available at the NetEnt Casinos, but considering the fact that the Ghost Pirates™ video slot never made it as a Touch® game, I do understand that NetEnt gave the pirate theme a second chance with Hook’s Heroes™ as a result. The launch of this NetEnt slot resulted in another bunch of NetEnt characters, added to the club of original slot characters accompanying Gonzo, the crazy Boom Brothers, Jack Hammer, Jack, his goat and the giant, the ‘ugly ones’ from Space Wars™, and many more. 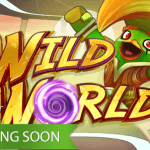 Expect another fun-filled video slot at the NetEnt Casinos including some standard slot features such as a Wild and Free Spins. 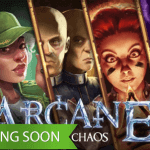 Not very impressive so far, but the fact that you can choose between three different Free Spins features, also available as Feature Spins, do make this game very attractive. 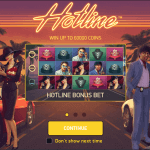 The number of slot features available in the Hook’s Heroes™ slot is rather impressive, but when it comes to the betting options nothing special is offered. With this pirate-themed video slot NetEnt is targeting a large group of players with a minimum bet of 0.20, attractive for the cautious players, and the maximum bet of 200.00 that for sure will attract high rollers too. Of course, these aren’t the only options to play with as numerous bets can be chosen thanks to the ten different bet levels and seven different coin values to combine the bet level with. To come to a perfect bet I can advise you to play a video slot for free first to try out a few options just until you have found yourself the perfect bet to play the Hook’s Heroes™ slot with. 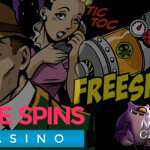 It’s not often a video slot packed with so many slot features is released, but NetEnt did a pretty good job adding three different Free Spins features combined with Feature Spins. It is this combination that brings more than enough action to the reels while giving you the opportunity to choose the Free Spins feature once three Scatters activated the Free Spins feature. Pick either the Fairy Future, the Pirate feature or the Mermaid feature just before Free Spins start. Feature Spins, introduced for the first time in Hook’s Heroes™, are simply giving you a single spin preview of what to expect once Free Spins are activated. 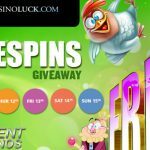 In general, these featured Spins are a nice addition as responsible for loads of extra wins, but can also be of good use when you have to choose between the three Free Spins features. For the first time, NetEnt is giving you the opportunity to choose between three different Free Spins features. While two Scatter symbols are enough to activate one Feature Spin, three Scatters will activate up to 15 Free Spins depending on the Free Spins feature of your choice. If you choose to activate the Pirate Feature you choose to remove all 20 bet lines which simply means any combination on the five reels is a winning one. For example, if three of the same pirates appear anywhere on the reels, you will have one winning combination because symbols involved in a winning combination don’t have to be on a bet line just as they don’t have to be from left to right. During the Mermaid Feature, every single win will be multiplied by either an x2 or x4 Multiplier. The Multiplier activated depends on the winning combination as wins with a Wild involved will be multiplied by x4 while all other wins will be multiplied by x2. It is always a pleasure to have a good fairy around and the same goes for the fairy in Hook’s Heroes™ as she has a good intention turning random symbols into Wild symbols. As usual, the Wild symbols substitute for any other symbol in the game and, therefore, responsible for many extra winning combinations.